The UK stand up! 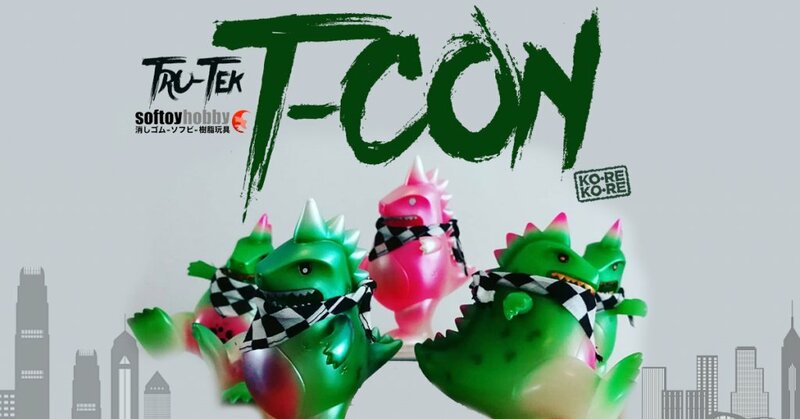 Sofubi/soft vinyl master Tru-Tek teams up with Ko-Re Ko-Re & ToyCon UK for some Summer Soul 2018 action. This is your WARNING Hong Kong as 5 limited edition customs are heading to the show. Tru-Tek showing off his airbrushing skills and given them a nifty look! Hypebeasts look out there’s a new beast in the city. Only 5 pieces available so visit Ko-Re Ko-Re booth A23 tomorrow.